From electric cars to wind turbines to solar energy, students studying sustainable living will now have the opportunity to enroll in a new sequence of six courses that will prepare them to work professionally in the field of renewable energy. The curriculum of the new sustainable energy track has been designed by Ralph Hearn, who received an engineering degree from MUM in the 1980s and subsequently two Master of Science degrees. Professor Hearn is an inventor and researcher in sustainable energy with over 20 years of experience. 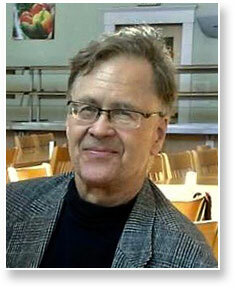 He is a former senior scientist in the development of the first electric vehicle for General Motors. 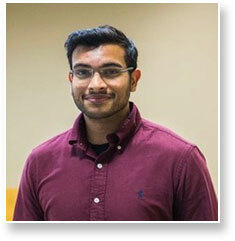 Other faculty will include Tejasvi Sharma, who has just completed his PhD in mechanical engineering at the University of Iowa. The courses in the energy track focus on solar photovoltaic technology and energy systems of electric vehicle technology, setting students on the path for a career in renewable energy supply and electrical vehicle transportation. This includes areas such as solar thermal energy, solar panel installation and sales, and electric vehicle technical support. The sustainable energy sequence will begin in block 3 with a course led by Dr. Sharma on heating fundamentals and energy-efficient heating systems for housing and small-scale industry. Solar energy courses include Solar Energy Science, Solar Energy Applications, and Sustainable Energy Lab. In the latter course, students will learn electrical fundamentals by doing, with instruction and guidance provided on the spot in the lab. 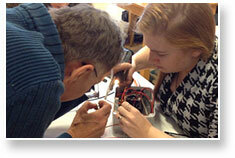 For every energy course, there will be an integration of theory and a hands-on project. A recent news report said that the fastest-growing job in eight states is solar panel installation. And in three states, including Iowa, the fastest-growing job is wind turbine technician.